A mobile phone provider has been helping blind and partially sighted people improve their digital skills with free ‘Discovery’ mobile phone sessions. Three has teamed up with 50 community organisations including RNIB, Girlguiding, and Age UK to deliver Discovery sessions which are for everyone, not just Three customers. Discovery aims to get more blind and partially people feeling excited about using their mobile devices to enhance their everyday life. Sessions cover a variety of topics from managing money through a smartphone app, using Skype to video call friends and family worldwide and staying safe online. Bespoke group sessions are available for people of all ages. Three also run a Junior Discovery Club initiative during school holidays, with sessions aiming to get blind and partially sighted children up-to-speed with all things digital. 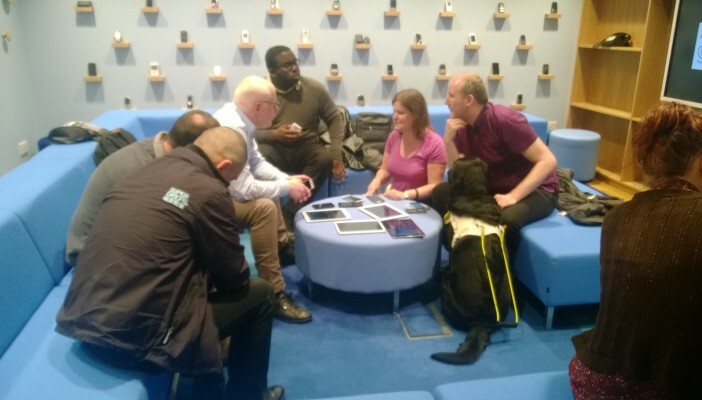 Robin Spinks, senior strategy manager at RNIB, explains: “Three's Discovery sessions provide a unique chance to explore and learn about the latest devices, apps and services in a focused but non-pressured environment. Discovery Partners as staff are called, have received accessibility training so people with learning and physical disabilities, including sight loss, can benefit. Teams are on hand to inspire people about the full potential of their device and remove the fear factor of getting online. Jessica Tompkinson, community engagement and discovery manager at Three, said: "Working with community organisations is something close to our hearts and is one of the main reasons that Discovery exists. We want to help as many people as possible to enrich their lives through the use of technology". So far, the sessions have run in specially made Discovery spaces in London, Maidenhead and Swansea. Due to the success of the project to date, 50 Three stores around England, Ireland, Scotland and Wales will be adapted to deliver the training, seven days a week. To find your closest Discovery location, or to book onto a session, please contact staff at your local Three store or book your place online. Anyone with a disability can attend the sessions. Please state any requirements needed beforehand. RNIB also delivers technology and online training for people with sensory loss through the Lottery funded project, Online Today. Training covers a wide range of topics including using tablets and screen readers to email and Skype. To find out more and to book a session, please visit Online Today.